Dr. John G. Stanescu was raised in Riverdale, New York. He was accepted, because of his artistic gift, to attend the Fiorello H. LaGuardia High School of Music & Art and the Performing Arts. This has been instrumental in the development of his strong aesthetic abilities in cosmetic dentistry. He went on to graduate from Manhattan College in Riverdale, New York. 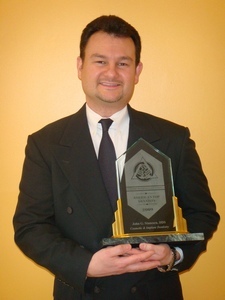 After graduating from the prestigious New York University College of Dentistry in 1997, Dr. Stanescu was selected to attend the Advanced Education Program in Prosthodontics–a postgraduate clinical program at New York University. This 3-year full-time rigorous program, concentrated on the advanced study of full-mouth rehabilitation, cosmetic and implant dentistry. Dr. Stanescu is a member of the American Dental Association, the New York State Dental Association and the Nassau County Dental Society. These professional memberships combined with regular continuing education courses throughout the year help Dr. Stanescu to keep pace with the most recent scientific dental advancements, procedures and equipment. At Elite Family Dental Care, your healthy and attractive smile is our passion and your individual satisfaction is our goal. In addition to the many benefits of our beautiful and state-of-the-art office, our dynamic team also sets us apart from the rest! We are committed to your oral and overall health. We strive for excellence in all we do. From scheduling appointments that are convenient for you, to helping you achieve the smile of your dreams, we provide exceptional service from start to finish. We’d love to take great care of you, your family, and your smile. 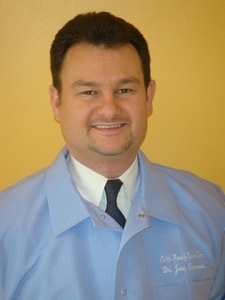 Elite Family Dental Care is proud to announce that Dr. John Stanescu has been selected this year as one of America’s Top Dentists by the Consumers Research Council of America. This award is based on meeting stringent standards and criteria evaluating education and continuing education, board certifications and affiliations with professional dental associations. Only a select few dentists are chosen each year who distinguish themselves among their colleagues by their progression of advanced dental care to all patients and by their professional development through continuing advancement of dental education.